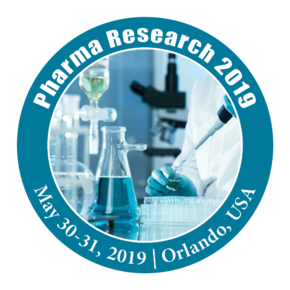 2nd International Conference on Pharmaceutical Research & Innovations in Pharma Industry, (PHARMA RESEARCH 2019) scheduled to be held during May 30-31, 2019, Orlando, USA. This Pharma Research 2019 Conference includes a wide range of Keynote presentations, Oral talks, Poster presentations, Symposia, Workshops, Exhibitions and Career development programs. The conference invites delegates from Leading Universities, Pharmaceutical companies, Formulation Scientists, Medical Devices, Researchers, Health care professionals, students, business delegates and Young researchers across the globe providing a better podium, interconnecting the latest research, technological developments in the arena as well as therapeutic aspects. Participating at Pharma Research 2019 International conference will be an excellent opportunity to meet eminent personalities in the fields of pharmaceutics and learn about the latest technological advancements.